On October 10th, Hurricane Michael brought devastation to parts of the Florida panhandle and the southeastern US. Like with Hurricane Florence, we’re partnering with myTalk 107.1 and Miami Diaper Bank to help families with young children in the affected cities. To donate, visit the myTalk donation page and select “Team Donna and Steve.” The Miami Diaper Bank can accept any amount you are able to donate. To do our part, Ungerman will be matching up to $1500 in cash donations. When disaster strikes, we’re there—even when it means more than reconstruction. Last month, Hurricane Florence struck the southeastern US with forces that destroyed homes, buildings and roadways. This made simple necessities difficult to get—including diapers. So we partnered with myTalk 107.1 to collect and donate diapers for the parents of young children in the affected areas. At the end of the drive, 135,000 diapers were donated from generous supporters from all across the Twin Cities. 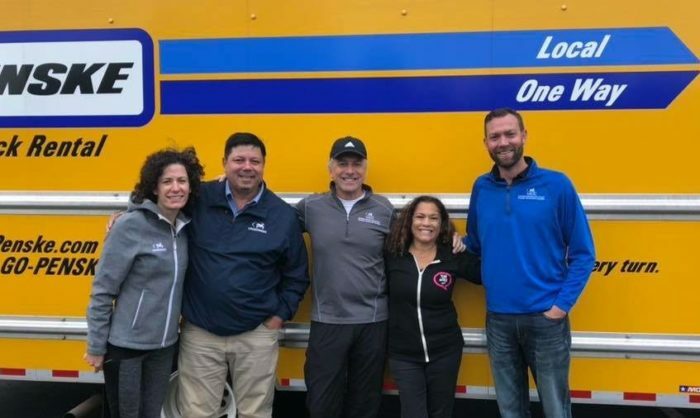 Once all of the diapers were collected, our own Ron Ungerman Jr. and his wife Sonia (General Sales Manager myTalk/1500 ESPN) packed up a moving truck and took the 19-hour drive to the Carolinas.